Lots of pet owners will tell you that their furry friend, whether a cat, dog, or another animal, can pick up on certain things humans can’t. For some reason, pets have a sixth sense of sorts where they can tell whenever our energy is off — even if it’s so subtle that we don’t notice it ourselves. This was exactly the case with Alhanna Butler and her dog Keola. Alhanna and her fiance, Ricky, were over the moon when they learned she was pregnant. But when she was four months along with their child, Keola began acting strange and constantly pawing at Alhanna’s belly. Alhanna ignored her pup’s behavior at first until she realized the terrifying reason behind her actions. Alhanna and her fiance Ricky had an instant connection when they met. They knew they wanted to spend their lives together and start a family, so they decided to try for a baby right away. At times it seemed like Alhanna would never conceive, but then one day, she received the greatest news of all: she was pregnant! Alhanna and Ricky’s family was about to get bigger, but they had another baby to consider…their fur baby! It didn’t take long for Alhanna and Ricky’s dog Keola, an American Akita, to realize that Mom was pregnant. While Keola had always been a sweet pup ready to cuddle at any moment, it was clear that seeing her Mom like this made her feel even more tender. Keola was constantly by Alhanna’s side as her belly grew bigger by the day. Instead of going out on the town, most evenings were spent relaxing on the couch with Keola’s head resting on Mom’s belly. Soon though, Keola’s behavior changed. By the time Alhanna was around four months pregnant, Keola started acting strangely. The usually peaceful and snuggly pup suddenly seemed to be completely different. Instead of watching over Mom with a gentle touch, Keola started whimpering and pawing at Alhanna’s belly for what seemed like hours. At one point, Keola tried to bury her nose in Alhanna’s belly like she was trying to get something out. At first, Alhanna and Ricky didn’t think twice about their dog’s behavior. Little did the couple know, Keola was trying to tell them something very important. Alhanna truly enjoyed being pregnant. At the beginning of her pregnancy, she was lucky enough to avoid experiencing any of the less-than-ideal symptoms some moms-to-be have to deal with. She and Ricky were eager to meet their little one. They couldn’t wait to become parents and start growing their family and by the looks of it, the rest of Alhanna’s pregnancy was going to be a breeze. Keola continued to act weird around Alhanna, poking and prodding at her belly, but the couple concluded it was just a phase. Unfortunately, things were about to get scary for the family. Alhanna’s pregnancy was going great until she hit 16 weeks and the unthinkable happened. It was then that she suddenly started experiencing sharp pains in her lower back. The pain was so severe that she could hardly walk or talk. Doubled over in pain, her mind went to the worst case scenario. Was her baby alright? Would she and Ricky get to live out their dream of becoming parents? Ricky rushed his fiance to the hospital and prayed for the best. Doubled over with pain, Ricky rushed Alhanna to the hospital where a doctor saw her right away. The couple was anticipating scary news, but to their surprise, the doctor said Alhanna and the baby were fine. The medical staff told Alhanna and Ricky that the pregnancy was taking its toll on her body and that she simply needed to take it easy and get as much rest as possible until the baby was born. Relieved, Alhanna and Ricky went home. Alhanna and Ricky left the hospital and headed home. The two were so relieved that their baby was healthy. All they wanted to do was get home and relax while cuddling with their pup Keola. Alhanna was still experiencing sharp pain in her lower back, but all she could do now was trust in her doctor. She returned home, got comfortable in bed, and tried to sleep off the lingering pain that she was feeling. The next day, Alhanna shared an update on her Facebook so her friends and family would know what was going on. She detailed her scary symptoms and how her doctor told her she and her baby were fine. Alhanna also added how Keola had been acting strangely the last few weeks. Friends and family were quick to offer their support for the couple, but many weren’t shy about commenting on Keola’s behavior. Soon enough, Alhanna had multiple people urging her to trust Keola’s instinct, saying that she should go back to the doctor. Was Keola Trying to Tell Her Something? At this point, Alhanna didn’t know what to do. The last few days had been completely exhausting for the mom-to-be and she didn’t want to step on her doctor’s toes by insisting that something might be wrong. But after her pain didn’t let up, Alhanna was starting to believe that Keola might be right. After all, Keola’s behavior had been extremely unusual for some time now. Was it possible that Keola was trying to tell her something? By now, Alhanna was hearing from friends and family from all over that she should go back to the doctor. She didn’t feel her best but still, she was unsure what to do. It wasn’t until one person, in particular, urged her to get a second medical opinion that she changed her mind: her mom. Alhanna’s mom was certain that Keola’s behavior wasn’t a coincidence. The next day, Alhanna decided to go to work and deal with the pain, but something very bad was about to happen. The next morning, Alhanna woke up, still in pain. She decided, however, that she would try and tough it out at work. She got ready and was about to head out the door when Keola wouldn’t let her leave. She was jumping up and down and whining while barricading the door. Alhanna had no idea what had gotten into Keola. Then, Alhanna collapsed. Ricky heard the commotion and quickly rushed Alhanna to the emergency room. Now in the emergency room, Alhanna was stabilized and explained her ongoing symptoms, although she didn’t insist she was partially returning because of Keola. The doctor gave Alhanna a thorough exam and ran a series of tests to determine if there was anything serious causing Alhanna’s pain and collapse or if it was simply the stress of her pregnancy as the other doctor had suggested. Alhanna, Ricky, and her mom patiently waited for the results. Sure enough, Keola was right. And the news was not good. After her exam and series of tests, Alhanna’s doctor returned with bad news. Alhanna didn’t just have a kidney infection, she had a double kidney infection. More than that, her vitals were so bad that if she had waited any longer, Alhanna and her baby could have died. On one hand, Alhanna was relieved the pain wasn’t all in her head, but now she feared for her life and her unborn baby’s life. Alhanna’s doctor knew that time was of the essence. She was at serious risk of losing her pregnancy, or worse, both she and the baby’s lives. Her doctor placed her on a serious regimen of antibiotics and provided the necessary care and treatment to stop any further damage to her kidneys. Alhanna felt like she was now in good hands, but she was completely distraught over the prospect of losing her child. She also couldn’t stop thinking about her four-legged companion, Keola. After a few scary and stressful weeks, Alhanna completed her antibiotic regimen and got plenty of rest. Along the way her doctor carefully monitored Alhanna and the baby. Thankfully, the care and treatment worked. Alhanna’s kidney infections cleared up and she and her baby were happy and healthy. All that was left for Alhanna and Ricky to do now was to wait for the arrival of their newest family member! Finally, after what seemed like a lifetime, Alhanna gave birth in November of 2015. She and Ricky welcomed a precious baby boy whom they named Lincoln. The couple was instantly smitten. They couldn’t believe that after all this time, they were finally parents. And although Alhanna had dealt with a serious health scare, Lincoln was here and he was healthy! The couple couldn’t have asked for more. Above all, they were so grateful for Keola. Speaking of Keola, it was time for her and baby Lincoln to meet! After Lincoln was born, Alhanna and Ricky spent a few days with him in the hospital. The couple was excited to finally get to bring their little man home, mostly so they could introduce Lincoln to Keola. While reflecting on her pregnancy, Alhanna couldn’t stop thinking about Keola and how she was trying to tell Alhanna something was wrong for weeks. Alhanna felt an immense love for Keola and didn’t know how she would ever repay her precious pup. Alhanna and Ricky returned home with their newest addition in tow. Keola was immediately ecstatic when she realized that Mom and Dad had a new baby brother with them. Just as Alhanna and Ricky thought, Keola was instantly smitten with Lincoln. Right off the bat, Keola was extremely interested in Lincoln and would not leave her little brother’s side. It was like Keola had known Lincoln all along. Keep reading to see Alhanna, Ricky, Lincoln, and Keola today — plus the big award that was presented to Keola! Alhanna and Ricky now realized that Keola had been trying to tell them something was wrong the entire time. So naturally, they weren’t surprised when Keola had a very strong bond with their son. From the moment they brought Lincoln home, Keola was always by his side. Whether Lincoln was napping, feeding on the couch, or playing with toys in his room, Keola was there. Lincoln had a built-in best friend! Keola is a big dog compared to a tiny baby, so naturally, Alhanna, Ricky, and their friends and family were worried about her accidentally harming Lincoln. But after seeing the two interact, it was apparant that Keola realized their size difference. Keola was always sure to be extra gentle around Lincoln whenever the two were cuddling or playing. It really did seem like Keola had that “sixth sense” some animals seem to possess! Before Alhanna and Ricky knew it, Lincoln was turning one year old. He was truly growing up right in front of their own eyes – and fast! Throughout the first year of his life, Keola was always there was Lincoln’s side. The two spent hours playing together, going on walks with Mom and Dad, and cuddling. It was clear that the two had a very unique and special bond that you don’t see every day! One of the family’s favorite things to do together is going on long walks around their neighborhood and at the park. While Alhanna and Ricky push Lincoln in his stroller, Keola is always trotting alongside his little brother and best friend. What’s even more adorable is that Alhanna says Keola knows when it’s time for their daily walk. When she gets Lincoln dressed, Keola knows it’s almost time and starts jumping up and down. Of course, going on a long walk can be tiring, so nap time is a must. Never to leave her best friend behind, Keola insists on taking naps with Lincoln. 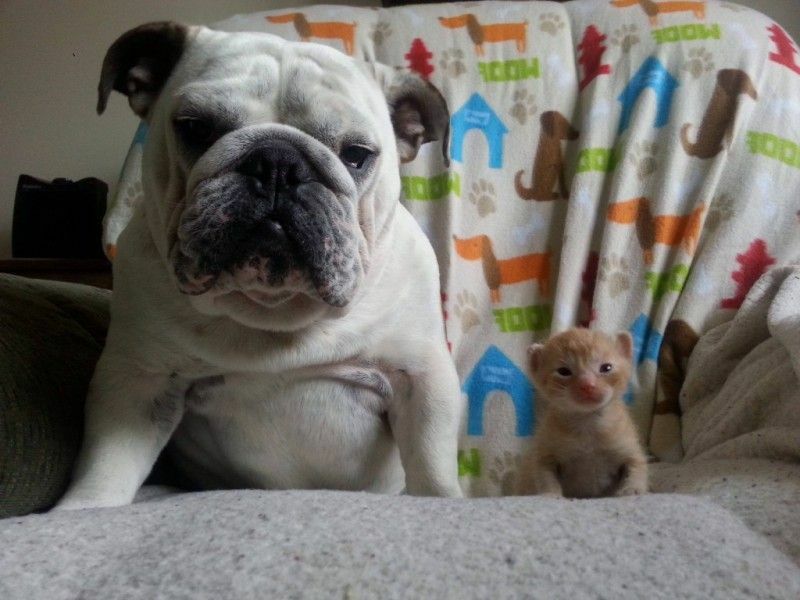 It doesn’t get much cuter than this does it? It’s clear that Keola and Lincoln share a special bond. Alhanna and Ricky knew the two’s bond was special, but they never anticipated others would think their dog and son’s close relationship was special too. But someone did…and they nominated Keola for an award! Alhanna truly felt like Keola had saved her life and Lincoln’s lives. She believed Keola a was hero and apparently, everyone else did too! Keola’s story went viral and soon enough, she was nominated for an Animal Hero Award by the RSPCA. As part of being nominated, Keola got to attend the award ceremony with Alhanna and Ricky where she received an award and, of course, lots of dog treats for being a true animal hero. Lincoln may still be just a baby, but it’s apparent that he understands the special bond between him and Keola and we’re sure their bond will only strengthen with time. It’s tough to imagine how things would have turned out for Alhanna and Lincoln had Keola not been there to tell everyone something was wrong. Thanks to Keola, both Mom and baby are doing great. Just look at that smile! We think it says it all. Now that Lincoln is a toddler, Alhanna and Ricky often find themselves reflecting on her pregnancy and the serious double kidney infection that almost took she and Lincoln’s lives. The parents are so grateful for Keola’s warning and feel immensely lucky that Lincoln is happy and healthy today. Not only do Alhanna and Ricky get to watch their son thrive, but they get to watch him do so alongside Keola. Alhanna, Ricky, Lincoln, and Keola’s story goes to show that sometimes your pets really are trying to tell you something. Perhaps, we’d all be better off if we listened. “I have absolutely no doubt that both me and my son Lincoln would not be here today if it was no for Keola,” Alhanna said in an interview with the Daily Mirror. Can Dogs Really Tell When Something Is Wrong? Some people might think that Keola’s behavior was just a coincidence, but many pet owners say that their furry friend can tell when something is wrong. So can dogs (and animals in general) really tell when something is awry? Science says yes! Animals, dogs in particular, have special ways to tell if a person is ill. One of the ways they can tell is by their strong sense of smell. Some dogs have as much as 50 times the amount of scene receptors as humans, making their sense of smell nearly 100,000 times stronger than ours. When someone is sick, their body chemistry can change. As a result, a dog’s sensitive sniffer might be able to pick up on these changes – even if they’re subtle. Some dogs are even trained to sniff out certain serious illnesses like cancer. Believe it or not, some dogs can smell lung cancer on someone’s breath or pinpoint the approximate location of a tumor. When Alhanna was suffering from a double kidney infection, Keola was able to pick up on her changing body chemistry. Another amazing thing about dogs is that they can sometimes sense if a woman is pregnant. Thanks again to their amazing sense of smell, a dog can detect when a woman’s hormones change. Dogs typically know the scent of their owner, but since pregnancy hormones can alter a woman’s scent, this can cause the dog’s behavior to change. Scientists point out that dogs don’t likely know that this change in scent means their own is pregnant – they simply pick up on the change in scent and may act differently. Dogs are considered man’s best friend for good reason. If you loved Keola’s story, these next dogs will warm your heart. You won’t believe how far some pups will go to save someone they love. This incredible wolf-German Shepherd mix was rescued by her caring owners when she was abandoned at just two weeks old. Little did they know seven short years later it would be Shana doing the rescuing. 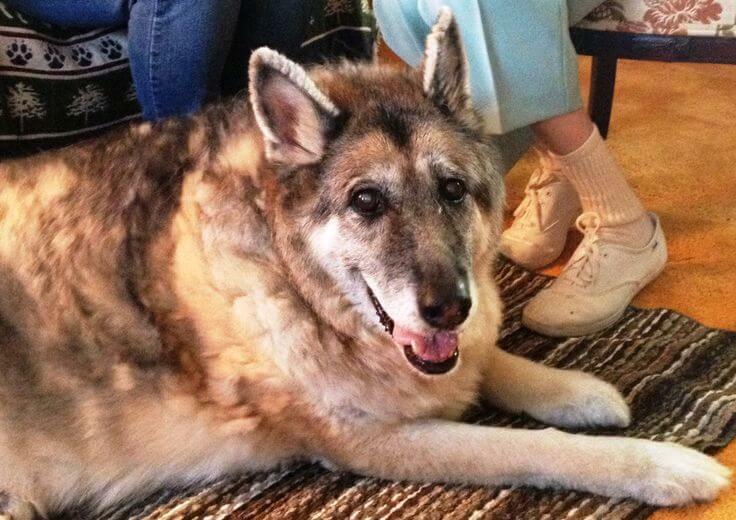 Shana saved her 81-year-old owners, Norman and Eve Fertig from a treacherous snowstorm in upstate New York in 2006. The Fertigs got stuck under a fallen tree during a power outage. Shana tunneled a hole and pulled her owners to safety. Then used her own body heat to keep the couple warm until the fire department could arrive. “It was the most heroic thing I’ve ever seen,” Norman told Fox News. Awarded 2008’s honorable Dog of the Year Award isn’t an easy feat but Maya did it. 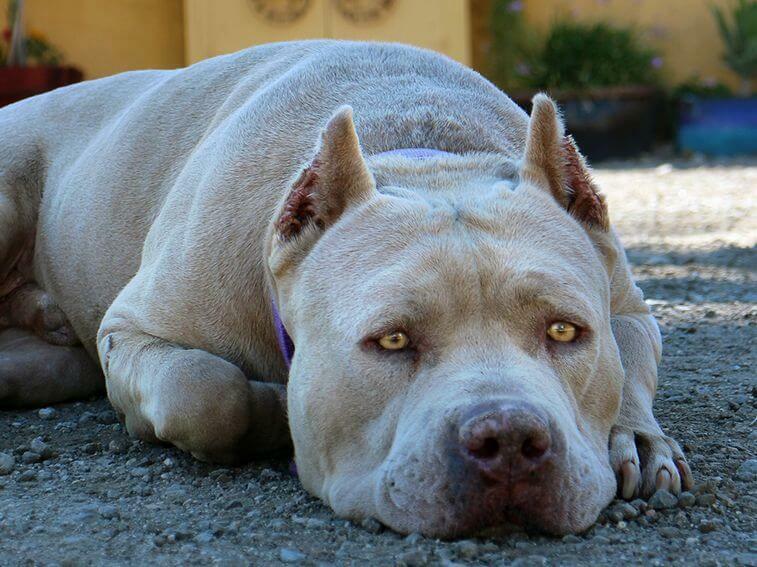 Maya, a pit bull, was honored with the award for saving her female owner from a vicious male attacker. Maya’s owner and single mother, Angela Marcelino was coming home late from celebrating her birthday when a male attacker came up behind her forcing himself onto her. She was helpless and fearing for her life until she saw the little white fur of her beloved pooch behind the man. She told Maya to attack and that she did. She charged and bit the man, causing him to run away. The absolutely adorable English Cocker Spaniel pup, Honey was also awarded Dog of the Year for saving her owner, Michael Bosch from a deadly car accident. Both Michael and Honey were trapped in his SUV, which flipped upside down and landed in a ravine. Knowing Honey was his only Hope, Michael summoned the strength to release Honey from the rubble, thinking she could find help. At only five months old, Honey ran over a half a mile from the scene, attracted the attention of a man and brought him back to rescue Michael. Without her, he would have died. In a twist of events, the lovable pooch, Napoleon didn’t rescue his owner but actually a batch of newborn kittens from drowning in a dangerous Michigan lake. Napoleon, a notoriously bad swimmer – like most English bulldogs – ran across the street from his home and leaped into the water. 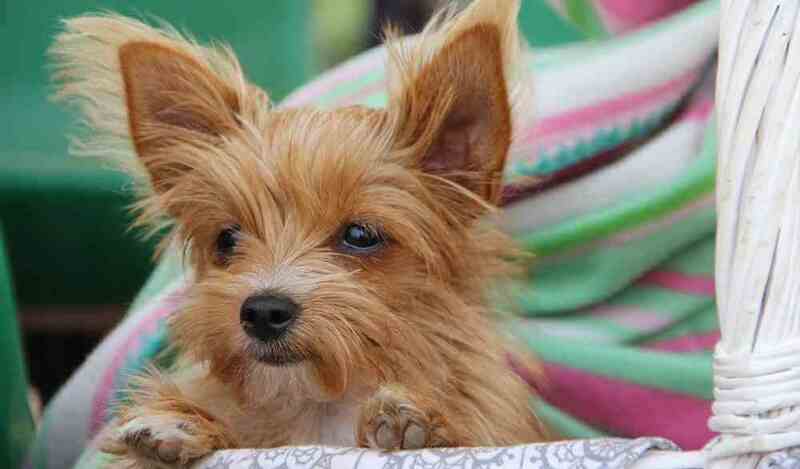 His owner was shocked as she saw him dragging a big burlap sack back across the street. When she looked inside she saw that Napoleon had courageously saved six tiny kittens. She was able to nurse four of the kittens back to health, sadly two passed away from the trauma and took them to the local shelter, where they were adopted by loving families. Don’t let his pint-sized pup fool you – Junior is as big of a hero as any of the other dogs on this list. 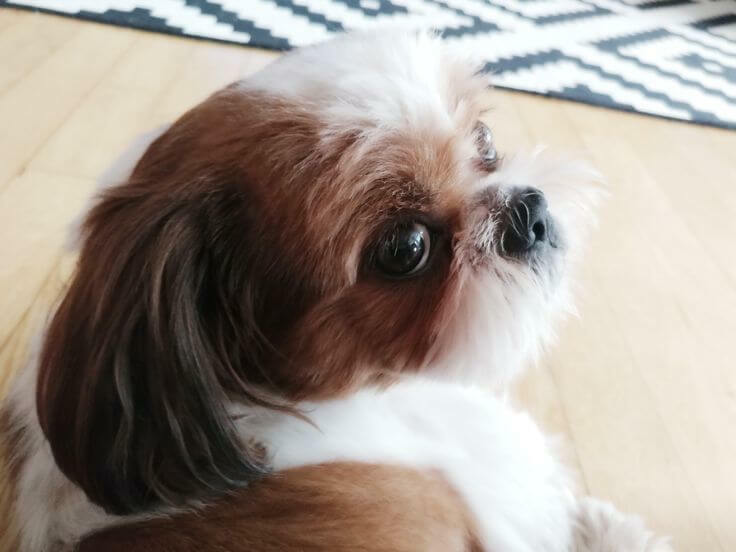 The 14-year old Shih Tzu mix saved a house full of people from a deadly fire by creating quite a ruckus. After a fire erupted in the home of his owner Madelous Davilmar in the middle of the night and neither Madelous or his six guests staying at the time woke up, Junior took action. He barked as loudly as possible waking everyone up in the home. “Junior’s a quiet dog and he started making a lot of noise,” Davilmar said. Thankfully enough noise to wake up the whole house. They were all about the safely escape in the nick of time. Arkansas puppy, Miley saved her family from toxic carbon monoxide poisoning thanks to her persistence. Owner, Stacie Pitts was so annoyed when Miley kept waking her up. Time after time again She tried to go back to sleep and get Miley to quiet down. But each time, Miley would make a fuss and wake her up again. Finally, Stacie realized that something was terribly wrong. Stacie woke up her entire family and found that they were all nauseous with severe headaches. The went to the hospital and discovered that Miley had saved them from deadly poisoning before any permanent damage was done to their lungs. 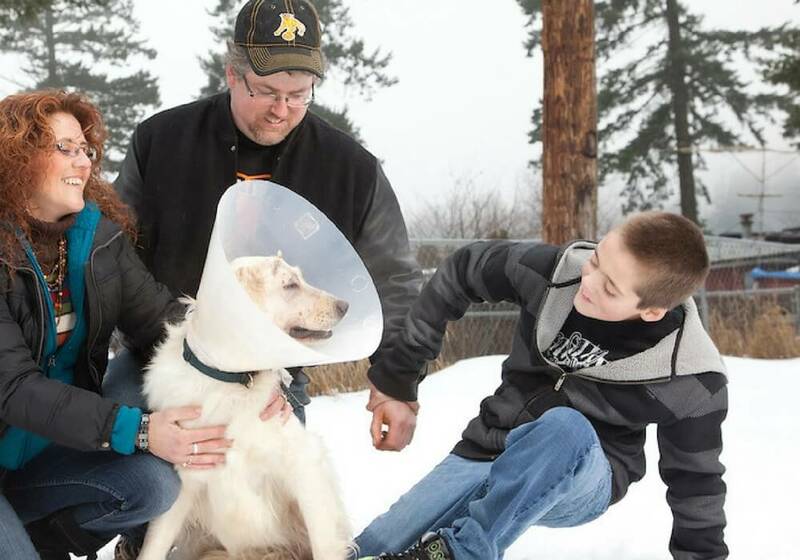 A very luck Canadian boy was saved from a cougar attack by his aptly-named pooch, Angel. Eleven-year-old Austin Forman was playing in his backyard with his puppy around 5:30 p.m. when an unforeseen danger crept into his space. A vicious cougar leaped at the boy but Angel stepped in to help. Angel was able to fend the cougar off long enough for Austin to safely slip back into the house. She sustained some serious injuries like deep cuts and bites across her head, neck, and shoulders but was nursed back to health by her loving and very appreciative family. Ex-Inmate/Veteran Budhi Blair had seen his fair share of trouble. He suffered from severe PTSD after returning from the Middle East which caused him to lash out and assault police officers and his wife, eventually leading to his arrest. 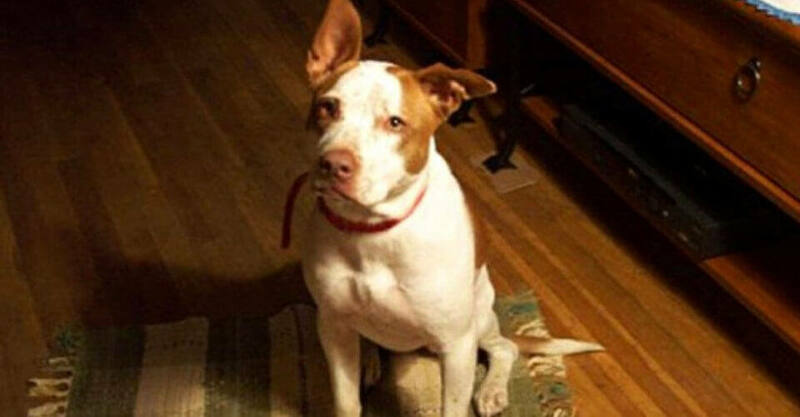 While in jail he met Layla, a pit bull who was mangled in a bad car crash. He saw himself in dog form – abused and discarded. 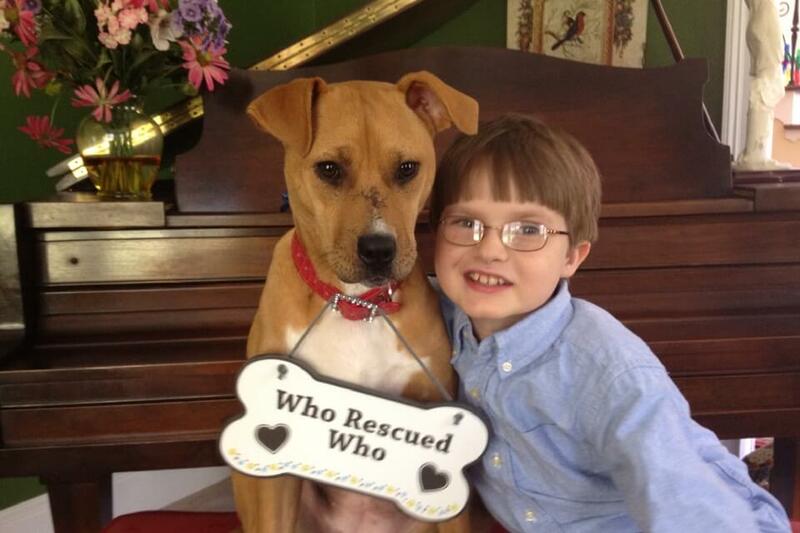 He took Layla under his wing and never looked back “That dog saved me,” he said. “Layla saved my life. That dog was better than Prozac for me,” he explains. He started a dog training program in jail that paired prisoners with abused and troubled shelter dogs. Extremely neglected and abused dog, Xena arrived at a shelter weighing only four pounds and minutes away from dying from starvation. Now, just a few short months later she’s the constant companion, best friend, and therapist for Jonny Hickey, an 8-year-old boy with autism. Jonny’s mom says he’s made immense strides thanks to Xena’s company. “He is the happiest child that I’ve ever seen him be in eight years,” she said. Jonny, now a chatterbox, was for the majority of his life, non-verbal. Xena has built up his confidence and he has showered her with love and attention. What a perfect pair. Thanks to their keen senses dogs can sniff out danger long before their humans even realize something is wrong. Nyla is yet another great example of a dog that risked her own life to save her owner from a deadly fire. When Sheila found herself surrounded by smoke and flames, unable to see in front of her, Nyla courageously guided her toward a nearby door, barking whenever Sheila lost track of her.